In addition to her role at the University of Melbourne, Professor McSherry is also Adjunct Professor in the Melbourne Law School and the Faculty of Law, Monash University. 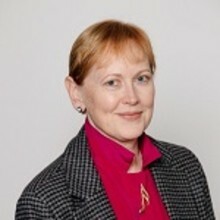 She is a Fellow of both the Academy of Social Sciences in Australia and of the Australian Academy of Law. She is the current President of the Australian and New Zealand Association of Psychiatry, Psychology and Law. This year, she was appointed a Commissioner with the Victorian Law reform Commission.